Enjoy the comfort of a quiet space to work and relax while waiting for your flight. Read more. 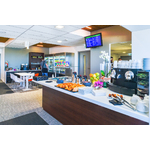 The Lounge is available to all passengers holding a boarding pass for a flight departing from terminal A only. 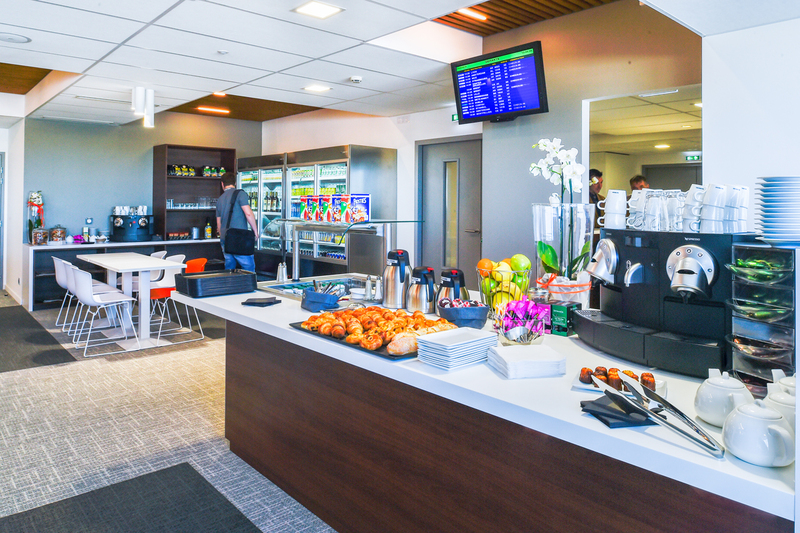 A wide selection of drinks and snacks is available for you. 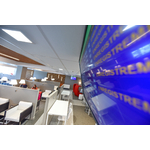 A press area provides access to national and international daily newspapers and other magazines, while allowing you to keep an eye on flight information screens. A work space for you to send one last e-mail or simply surf the internet. Free Wi-Fi access: numerous power sockets have been installed for you to connect laptop computers, tablets and mobile telephones. The Hall A lounge is accessible 7 days a week from 4.00am to 11.00pm in the reserved area, after passing through security control. Would you like to reserve a seat in the Lounge? Be sure to check that your flight is scheduled for boarding in Hall A. Lounge Terminal A is not currently available.